The apartment is super big compared to whats around the area. The bed is comfortable and the temperature is perfect. Towels are brand new and toiletties are provided. 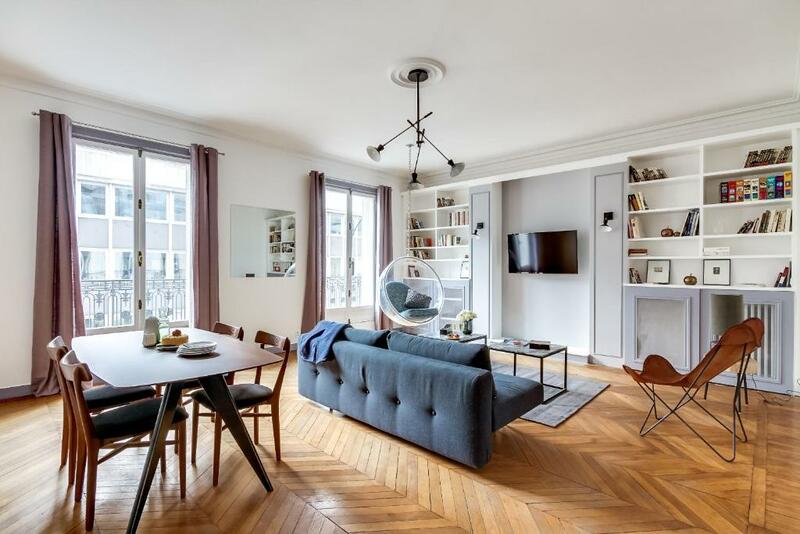 Moreover, the apartment was located on the ground floor, perfect to not having to carry the luggage through the typical narrow “Parisienne stairs” Regarding the location, there is a carrefour express just on the same street as well as a bakery and a gym. It’s just 4 min walk to the metro station. Also I would like to mention that the service provided by Paul was excellent. He showed me the apartment and he was available at any time to answer my questions. I highly recommend Sweet Inn apartment and I will repeat again. The only positive thing about the accommodation is its proximity to Champ Elysees (and a supermarket nearby). Although I would not describe the street it’s on as nice. Very centrally located: short walking distance to main shops on the Champs-Elysees, restaurants, and supermarket. Spacious for families. Convenient to check in and out. Location. Cleanliness. Amenities in the apartment. Basically everything. good space, would suggest having a mid stay service (we didn't but should have for a four night stay). The hosts were always available and supportive. Very well located just behind the Champs Elysees avenue. Located in a commercial neighborhood. Modern interior decoration. A lot of space comparing to a hotel room, TV and good wi-fi, clean, central location. Lovely spacious apartment on a great location.The people at sweet I'm were very helpful greeting us with the keys and presenting the property. Отличное расположение, рядом огромный Monoprix, елисейские поля Все необходимое в квартире есть. 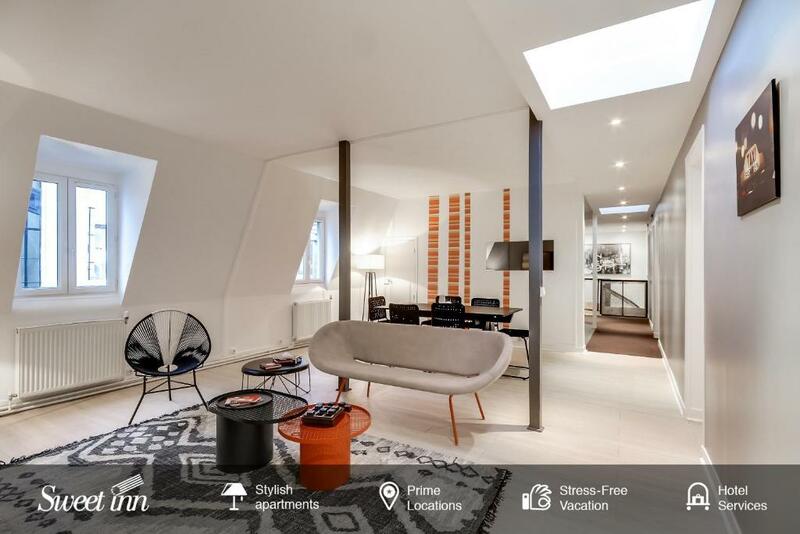 One of our top picks in Paris.Sweet Inn Apartments - Ponthieu offers accommodations in several locations in the 8th arrondissement of Paris. The unit is 2,950 feet from Arc de Triomphe. Free WiFi is available . Mathurins Theater is 0.9 mi from Sweet Inn Apartments - Ponthieu, while Comedie Caumartin Theater is 0.9 mi from the property. Paris - Orly Airport is 9.9 mi away. 뀐 Located in the real heart of Paris, this property has an excellent location score of 9.1! 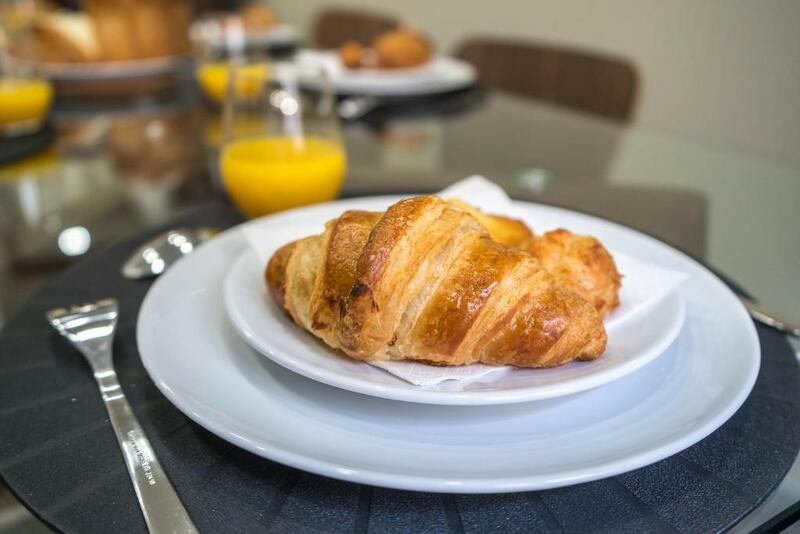 When would you like to stay at Sweet Inn - Ponthieu? This apartment has a electric kettle, oven and microwave. This apartment has a oven, electric kettle and microwave. 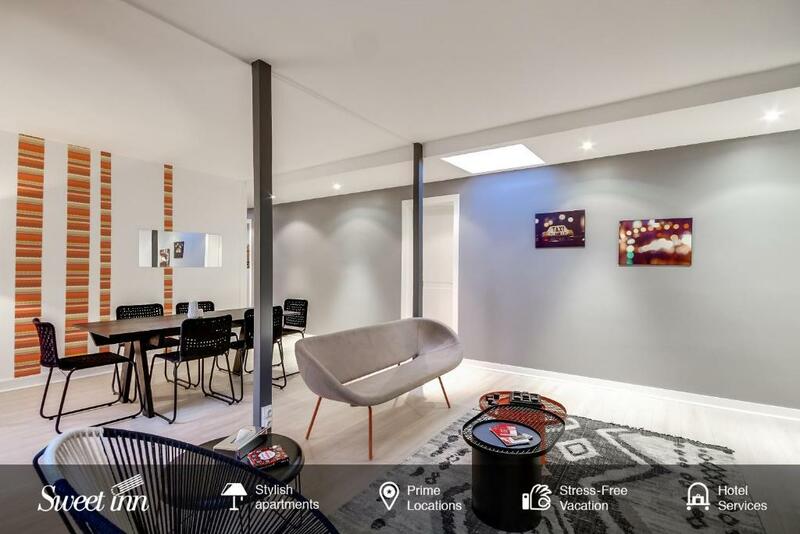 In the elegant Ponthieu cluster, you'll find 1-, 2-, 3-, and 4-bedroom vacation apartments in the heart of the glamorous Champs-Élysées. Here in the chic 8th arrondissement of Paris, exclusive shops and restaurants are a few steps away. The neighborhood comes to life at night, with some of the city's most beloved nightclubs. A 5-minute drive or 12-minute walk brings you to the historic Arc de Triomphe, the Grand Palais, and the Place de la Concorde, a monumental public square. The Franklin Roosevelt and St. Phillipe du Roule Metro stations are within a 5-minute walk. Nestled between the grand Arc de Triomphe and Place de la Concorde, the tree-lined Champs-Élysées (literally meaning ‘Elysian fields’) is one of Paris’s most legendary boulevards. This lively neighborhood, named for its main street, is known for its fine restaurants, nightlife, and upscale shopping. Here, you’ll find history and culture as well as fine perfume. One of the most central neighborhoods, it’s easy to reach other neighborhoods by bus or metro, although many of the city’s attractions are within walking distance. It’s a great area to stay if you plan to shop and check out historical sights. House Rules Sweet Inn - Ponthieu takes special requests – add in the next step! 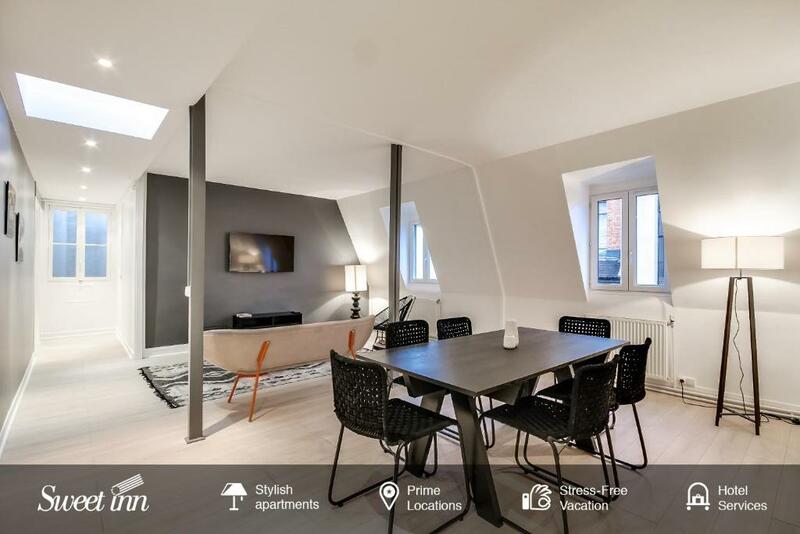 A EUR400 damage deposit is required on arrival (around USD450.20). This deposit will be fully refunded at check-out, as long as there isn't any damage to the property. Sweet Inn - Ponthieu accepts these cards and reserves the right to temporarily hold an amount prior to arrival. Please inform Sweet Inn - Ponthieu of your expected arrival time in advance. You can use the Special Requests box when booking, or contact the property directly using the contact details in your confirmation. A damage deposit of EUR 400 is required on arrival. That's about 450.20USD. This will be collected by credit card. You should be reimbursed on check-out. Your deposit will be refunded in full by credit card, subject to an inspection of the property. The door between the living room and the bedroom was not closing. over priced , no chance to check out let !! the night club directly below the apartment that hundreds of teenagers with loud voices and music arrives from 12 am to 1 am, then the party after they are drunken really started as they exited from 5am to 7am, NO SLEEP ! 2 days in a row !!!! To call the whole experience disappointing would be an understatement. First of all, on the second day of our stay we were charged an extra amount for cleaning, which was not mentioned even once at any point of the booking process. When I called Sweet Inn they told me it is a cleaning fee for before and after check-in and that we could do nothing about it. The apartment itself does not have windows, so as it was summer it got extremely stuffy and it felt like there was no air inside to breathe. The apartment is advertised as “sleeps 4”, but the couch barely qualifies as an extra sleeping space. It barely folded out with half of the couch slouching to the floor and thus was extremely uncomfortable. So if the flat is going to be advertised as “sleeps 4”, the couch should be able to actually fold out into a bearable sleeping space. The toilet was horrific to say the least: tiny, stuffy with no windows or ventilation or air. The shower had no door and was in the same room as the bedroom so the water kept leaking into the room and made the floor extremely slippery. Furthermore, the check-in was very very very unprofessionally handled. We arrived at the agreed upon time to the reception to get our luggage and a taxi to our accommodation to check-in, but were told to wait as the person doing the check-ins was busy with other guests. We did not have a problem with that, so we waited a bit and ordered a taxi. The driver, however, cancelled and we had to wait for another taxi that took a bit longer (this was out of our control). By this point, one of the Sweet Inn employees was getting visibly annoyed at us (!!! ), kept rushing us and telling us how her colleague has been waiting for 2 hours at the property. Which was extremely unprofessional and just plain rude since not only did we arrive at the correct time that had been previously agreed upon, had to wait for other guests to check-in, but were now also blamed for making her colleague wait for too long!!! Adjacent to busy bars and clubs. Very noisy till dawn with people chatting on the street, music, and constant honking. Some of us had a hard time falling asleep. There were dirty, smelling water in the coffee pot. Some electric bibles were out. If the property is maintained well, I will book it again. I felt a bit cold (the heating was not working). Shower not well design (no raised edge to prevent water from sinking to the room). Floors were a bit creaky and the television was offline for a little while. My bag was stolen at the bildding Lobby .and I kind of know ho it was ..but don't have time because I had a flight .